Jobu weighs in on Jim Leyland‘s decision to not go to Mo in the 9th inning. 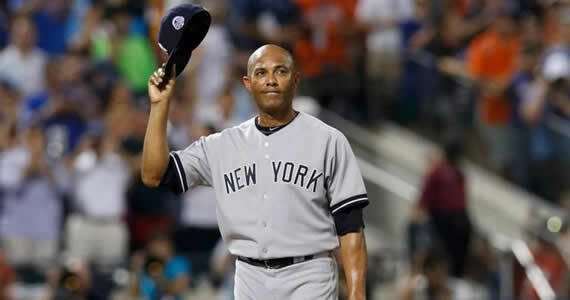 I’ve heard and read a little bit of uproar and hullabaloo about Jim Leyland‘s decision to pitch Mariano Rivera in the 8th inning of the 2013 MLB All-Star Game at Citi Field. 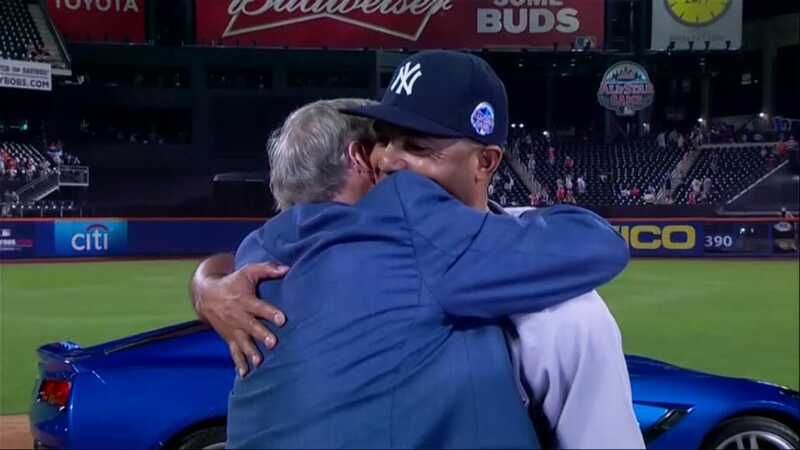 It might have been a little odd to not see Mariano in the 9th, a sentiment that most of Leyland’s players also echoed, but I get the Detroit Tigers manager’s decision, and I absolve him of any guilt. He made sure the wonderful moment we experienced actually happened. That was really his only responsibility. 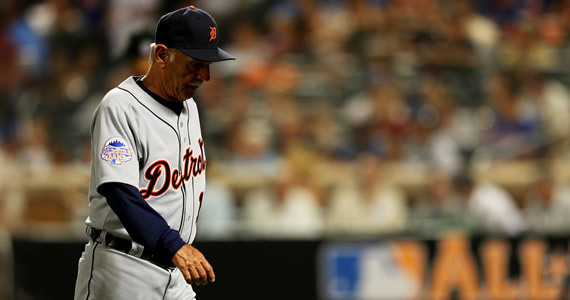 Lay off of Leyland. Let’s first talk about the game itself. Like any good All-Star Game should be, this was a close, grind-it-out kind of game. The AL led 2-0 going into the top of the 8th, and both runs had scored on outs. The first was on a sacrifice fly by Jose Bautista, and the second on an RBI groundout by J.J. Hardy. That was it. The AL added a run on a double by Jason Kipnis in the top of the 8th to give the AL a 3-0 lead, and Leyland decided it was the right time to go to Mo. It worked out great. After Neil Diamond’s controversial, crazy, bearded performance of “Sweet Caroline” to honor the people of Boston (a classy move by MLB), Enter Sandman hit the speakers and the greatest closer of all time started his jog out from the bullpen. Can I first say something though? How are we supposed to take the All-Star game seriously when we interrupt the middle of the 8th inning to bring out Neil Diamond to sing a song? I get the Boston tribute, and I love it, but let’s just all stop pretending the ASG should matter. Just take it as what it is… a fun week for fans and players alike. Anyway, the classiest thing I saw on the night was the reaction of all of the players, from both teams, when Mo came out of the pen. Nobody moved. Apparently this wasn’t planned, but no one took the field. Instead, all of the players stood at the lip of their respective dugouts and clapped for Rivera. They left him alone on the field so that the fans (and each other too) could give Mariano the respect and adulation he deserved. It really goes to show how much respect these guys can have for one another as players. For 162 games a year, they might root for each other’s demise, but they made this one specific game very special for one of their own. Rivera seemed taken aback by everything. He said he didn’t expect the players not to take the field, and he felt a little weird being out there by himself, but he called the moment “amazing” in all of the interviews he did after he pitched. True to form, Rivera pitched a 1-2-3 inning, and the fans gave him another special ovation after he got Carlos Gomez to ground out to end the inning. Another thing I really enjoyed was the classy move by Joe Nathan after he recorded the final out in his first ever All-Star game save. He gave the ball to Rivera. It was no secret that all of the AL guys wanted to win this game to give Rivera the chance to save it. It was part of the pre-game speeches given by Leyland and Outfielder Torii Hunter, and you knew all those guys really wanted Mo to get the save. Many of them expressed how weird it was to see him in the eighth, Nathan included. That’s why Nathan’s gift was classy. He could have kept his first All-Star Game save. It’s an honor. Not only that, but he could have saved the ball as a memento of the time Mariano Rivera got the ball to him for a big save. Instead, he handed it over with a big hug and some kind words. Stay classy, Joe. Finally, this brings me to Leyland. His reason for going to Mo a little early was simple. If he went to someone else in the 8th inning of a close game, he risked not pitching Rivera at all. If Nathan had come into the 8th and allowed four runs, there wouldn’t have been a bottom of the ninth. While I think it was probably safe to say that whoever was left in the pen could have held that three run lead, Leyland said it best when he said he wanted to make sure he “got out (of the stadium) alive.” Leyland chose to err on the side of caution, and it was fine. RIvera still had an amazing moment that he personally ranked ahead of everything other than his World Series championships, and that’s what it was all about, wasn’t it? Leyland made sure the greatest of all time got his honor. Thank you, Jim. For his 1-2-3 efforts, Rivera was given the All-Star Game MVP (see above?) and a brand new 2014 Chevrolette Corvette Stingray (it went with the MVP). Did he deserve the MVP statistically? Probably not. However, in a game where two of the three total runs scored on outs, and the NL only had three hits to even show for their efforts, did any AL players really stand out? 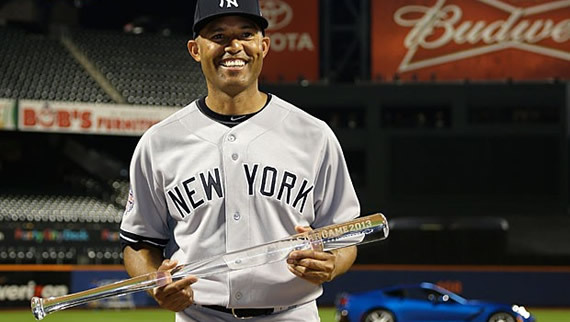 No one got robbed of the award, and it was another way to honor Rivera in his last All-Star Game, so I was OK with it. Overall, everyone, from the MLB to Leyland to the fans, honored Rivera perfectly. No matter the score, or the whole stupid World Series home field advantage stipulation, I think everyone in the world knew what this game was about. It was the swan song of a sure-fire Hall of Famer and one of the most beloved and respected players in the game, and it was done right. Well, except for the MVP Award presentation, when Old Man Bud Selig started talking before Erin Andrews even put the mic in his face and then gave Rivera the most awkward hug in the history of awkward hugs. Let’s cut Bud some slack though. He’s old and has never sent an email in his 78 years of life. We love you Mo. There will never be another one quite like you.